This is the fourth complete rework behind Sion, Poppy, and Taric. Every single one of those was a major success in revitalizing otherwise exceptionally rarely picked champions; two of which are even top tier picks in high ELO and competitive play. Now it’s Yorick’s turn. While the new kit and look brings him up to an acceptable level of quality, he’s doomed to return to the grave. Occasionally neutral and enemy minions will drop a grave nearby; enemy champions always leave a grave. Yorick’s next basic attack deals bonus attack damage and restores health. If the target is killed, raise a grave. If Last Rite is on cooldown, and at least 3 graves are nearby, spawn the corresponding amount of Mist Walkers. Yorick can only have up to 4 Mist Walkers active at any time, although they will instantly die when out of range. After a brief delay, summon a destructible wall that encircles the target for several seconds. 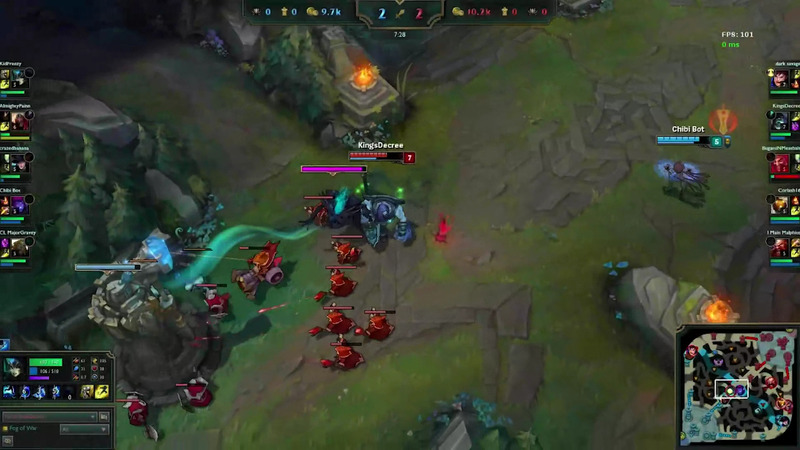 Yorick and teammates may freely walk over the wall. Hurl a glob of ectoplasm that deals magic damage, slows the enemy, and marks them. Marked targets will be prioritized and attacked by Yorick’s spawned minions immediately. Summon Maiden of the Mist. The Maiden moves and attacks on her own accord, but will assist Yorick should he be attacked nearby. If both Yorick and the Maiden attack the same target, they will do bonus magic damage plus a percentage of the enemy’s max hp. Yorick is, at this point in time, able to freely play either top, jungle or support. 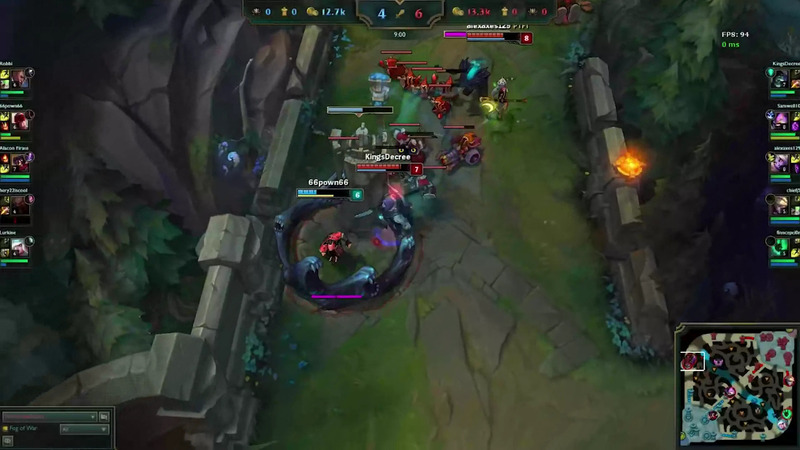 He is a shoe in for top for obvious reasons (self-sustaining split pusher), but he’s also adequate in the jungle and support due to his ability to push a turret after a kill phenomenally well – this is especially fantastic because of the recent change that gives extra gold for the first turret taken. Additionally, he doesn’t need much gold to be effective due to his innate tankiness and light amount of crowd control. Getting started with Yorick is pretty straight forward. When playing any position take a defensive mastery page. Similarly with the runes, focus on a more passive setup to get through the rough early game. Items wise each role will start with their respective first buy: jungler takes Machete, support picks up Relic Shield, and top buys Doran’s Shield. Because Yorick’s main goal is to take towers, the optimal next few items is Sheen into Iceborn Gauntlet and boots. These core pick ups will give the player vital slipperiness and protective stats when overextended-ly pushing a lane. Follow up with an upgrade to Mercury Tread’s and more defensive items like Randuin’s Omen and Spirit Visage to stay alive – or a Ravenous Hydra for extra siege power if doing well. His early game is rough, no way around it. His ‘Q’ is on a long cooldown and he needs the Maiden of the Mist to reach his potential. Levels one through six is all about surviving. Don’t be afraid to use or lose resources just to survive. 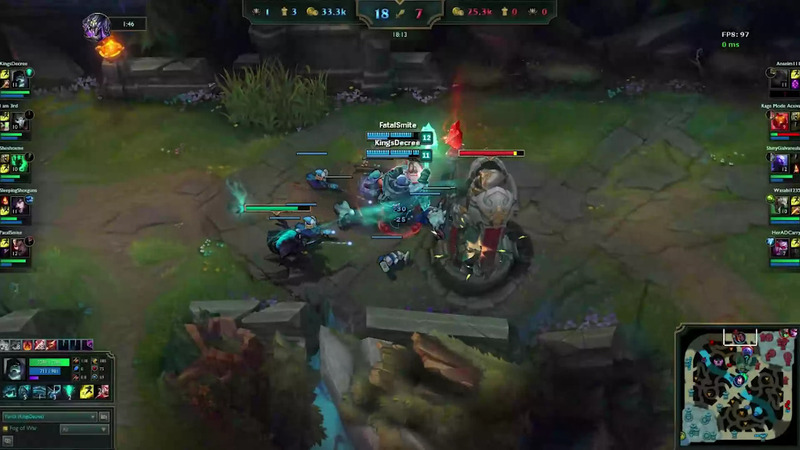 If the player is able to make it to the mid game without being hopelessly behind, Yorick can then get to work. Push lanes nonstop with ‘Q’ and ‘R’. Additionally, major objectives like Drake, Rift Herald, and Baron are easily taken with the Maiden. Don’t focus on kills akin to someone like Rengar or Shaco might, Yorick leads his team with gold from objectives. Late game is similar but more difficult. By this point most teams are much more inclined to group up and teamfight. If teleport is available, keep a close eye on any potential team fights. Supports and junglers are forced to stay close to the group with the expectation to help tank damage or peel for the carries as necessary. Should a major team fight be won, Yorick can then snowball with extra Mist Walkers from all the nearby graves and plenty of time to smack turrets down. However that’s if he can get to that point; therein lays a huge problem. Yorick is a win-more champion with very little power to comeback from behind. Despite his simple appearance and fairly straight forward kit, there are a lot of little tricks that one should know for maximum effectiveness – that is, if he isn’t picked or banned due to being a “new” champion. Kill enemies with ‘Q’ as much as possible to drop graves so Mist Walkers will spawn. The ‘W’ (Dark Possession) has a long cast animation, aim well ahead of the target enemy or flash on top of them for the guarantee. ‘W’ doesn’t necessarily have to trap someone to be effective, just being a bit of impassable terrain can prove beneficial (e.g. zoning). ‘E’ (Mourning Mist) will hit even invisible enemies like Shaco, Twitch, and Evelynn. ‘E’ shoots out starting at the cursor location, to avoid missing aim in front of whatever is being targeted. The ‘R’ ability (Eulogy of the Isles) stays around along as she has health left, protect her for maximum up time. Otherwise, sacrifice the Maiden to a turret for map pressure. Keep in mind she will always be targeted first in a group of minions! 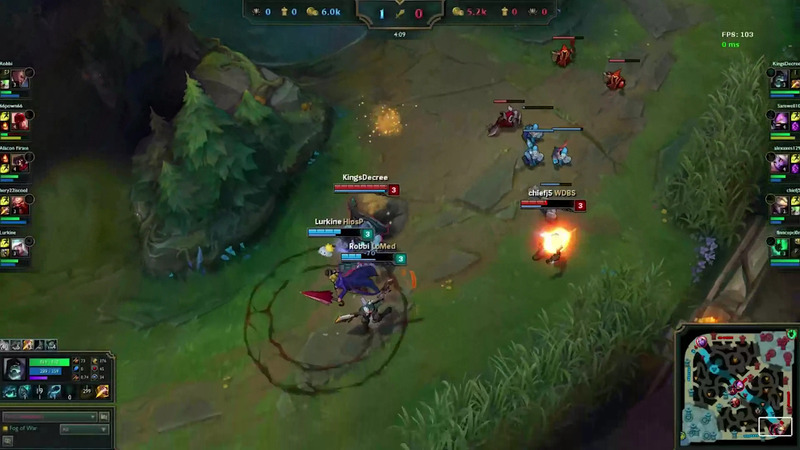 If jungling, ‘R’ can help rapidly clear camps – including drake. Yorick is a tricky champion to judge. He’s kind of like Nasus in that he’s a strong splitpusher with a kit that revolves around a hard hitting ‘Q’ ability, and a bit like Fiora in the strong 1v1 or 1v2 dueling. However, instead of being an absolute monster with a massive amounts of stacks due to AFK farming or incredible team utility, the Shepherd’s power is dialed back to be more consistent albeit weaker. Problem is, he’s not that great in either role. Nasus is broken under the right circumstances and god awful in others, Yorick will always solidly be average – even with his absurd base damage. Throw in the lack of engage and I don’t think he will ever be a top tier pick in SoloQ or competitive. ‘But Fiora was an overpowered top laner and she didn’t have engage!’ Thing is, her mobility and tank busting ability was – and somewhat still is – ridiculous. She also has the big heal and is still not a top tier pick. The only thing that concerns me is just how much pros and top players value turret taking power. Yorick, aside from ADCs, is the absolute king of taking turrets and pushing lanes. Maybe that alone will be enough to fit him into a jungler or support role. Ultimately time will tell, but I believe he’ll go back to being a low pick rate chump after a bit of experimentation. Yorick is a terrifying split pusher with incredibly devastating dueling combat prowess, unfortunately his low mobility, team utility, and crowd control is going to send this Shepherd of Lost Souls back to the afterlife. The craze of “gacha” mobile games will never go away but what price must be paid to have powerful characters? The answer may shock you.